Save Time and Money.... Pull it from our inventory and print it...basic yet custom. 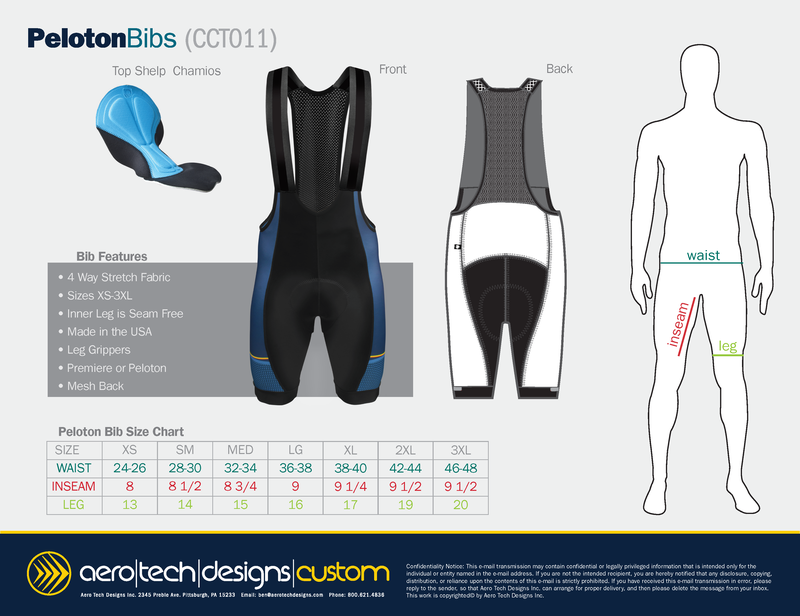 Basic Custom is a low priced alternative to full custom sublimation cycling garments. We will help you create that special garment for your event or club. Pick out a stock item from our inventory and add a silk screen or sublimation print. This basic custom is much faster and easier than a full custom kit. Lead Time is 1-3 Weeks! Create a Basic Customized product for less! 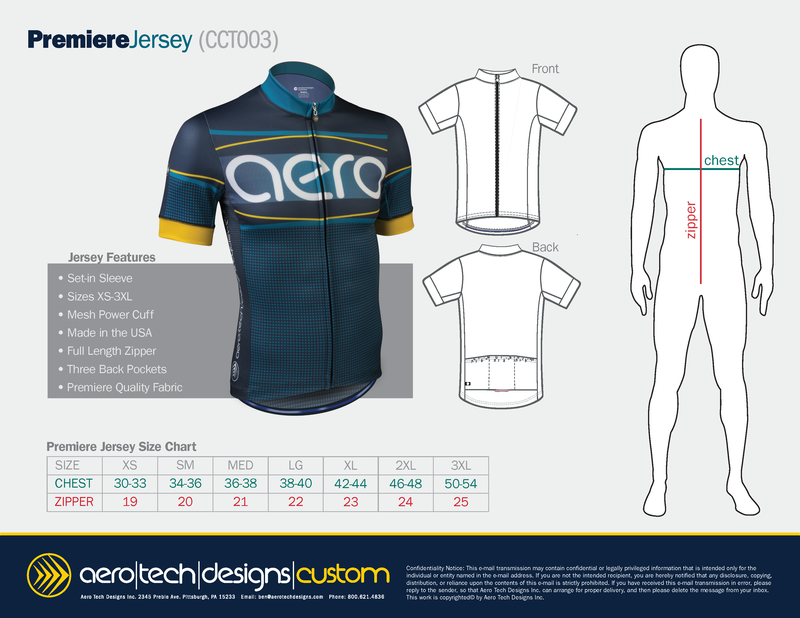 Do you love an Aero Tech Designs product? Get it customized with your logo! 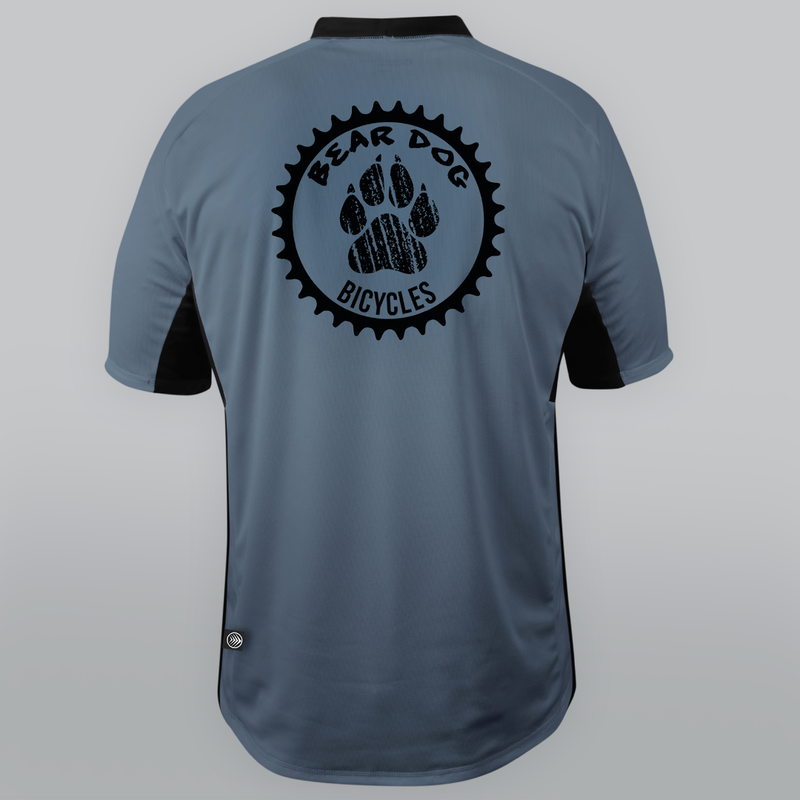 The first step in creating a basic customized apparel and gear is to contact us! Give us a call or complete the Request Form. The request form asks for basic information including, Name, Contact Information, including email and phone, desired due date, and any special instructions or important non-designs aspects. An Aero Tech Designs Representative will contact you. Then send us your logo! We do require all logos to be in High Resolution Vector Format. When the request form is received, we will contact you via phone or email to discuss the information. 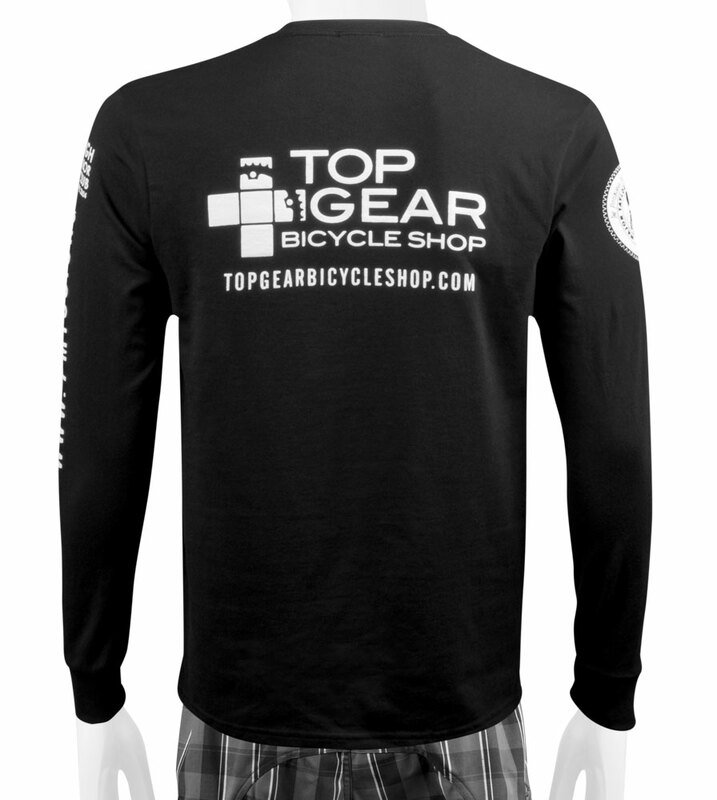 Discussion of the logo size and placement, product and sizes, and quantity will help provide information for the quote for the custom products. After we have the necessary information, we will put together a quote and design layout for the project. We will need your approval and final sizing before we are able to start the production the product. After the approval is given, no other changes can be made to the order. We do require a deposit of half of the quoted amount to begin production. What can you Basic Customizes? Print Locations - Options for printing include up to 4 different print locations, including, the front, back, and either sleeve. Difference between Sublimation and Screen Printing - Screen printing includes up to 4 different colors. Sublimation can use any amount of color, but can only be printed on light color jerseys. Artwork - Once we have printed a logo, we have the ability to reuse the artwork at anytime and we pass that savings onto you. The more basic the design, the less of a cost - Pricing for Basic Custom starts with a single print with a single color and increases for each additional print location and color.